The low-cost carrier Norwegian Air is working to set up its own cryptocurrency exchange by the end of this year, the Norwegian financial news website E24.no reported. The newly established company Norwegian Block Exchange (NBX) will be responsible for building and operating the exchange, as well as manage other blockchain initiatives for the airline, which is expected to buy a stake in the company in the near future. 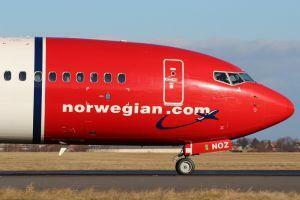 For the time being, Norwegian Air founder & CEO Bjørn Kjos remains the sole shareholder of the new company. NBX is led by Stig Aleksander Kjos-Mathisen, the son-in-law of Kjos and former Head of Manpower Planning at Norwegian Air. Although Kjos-Mathisen did not want to go into detail about the planned cryptocurrency exchange, he did indicate that at least the best known cryptocurrencies such as bitcoin and ethereum would be made available on the new platform. Kjos-Mathisen explained that he now believes the world is about to reach a tipping point where more and more businesses will start accepting payments in cryptocurrency. The Oslo, Norway-based company is further looking into how blockchain technology can be utilized to improve efficiency within their own airline. “We are looking into things that are scalable. This could be things like accepting cryptocurrencies as payment for airline tickets and making use of blockchain technology in our air cargo business,” he explained. Although the cryptocurrency market has had a rough time so far this year, the CEO of the new exchange remains optimistic about the future outlook for the industry. “Today, it is mainly individuals who are trading cryptocurrencies, but in the future we will see a huge increase in trading volumes as companies also start to get involved in trading. The way we see it, it’s just a matter of time before this happens,” Kjos-Mathisen said.